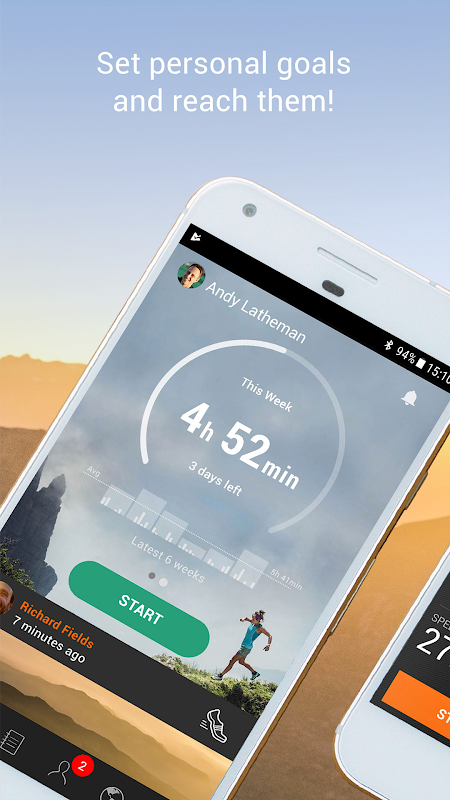 Sports Tracker is not only one of the best fitness apps around, it’s the original sports app. For over a decade, Sports Tracker has helped millions of fitness fans around the world get inspired through exercise, and it can help you too -- whether it’s running, cycling, walking, hiking, mountain biking, skiing, or other sports activities that power your passion. 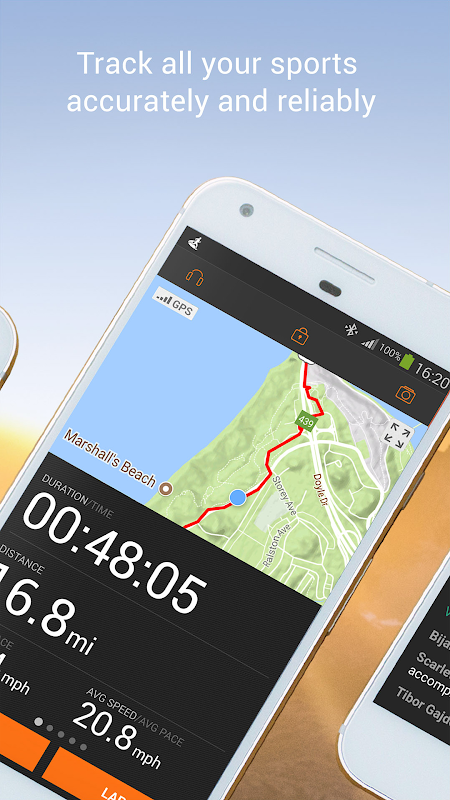 Track your training using powerful GPS and maps, analyze everything from calories burned to average speed and altitude, and monitor your progress as you work towards your fitness goals. Best of all, you don’t have to go it alone! Sports Tracker is the social sports tracking application and service that started it all. Powerful social features let you share your workout progress and photos with friends and followers, motivating you to stay on track with your training. Sports Tracker for Android comes with powerful social features in addition to award-winning GPS tracking capabilities, making it the most feature-packed, easy to use fitness app available: • *Only phones with Android 4.4 or above, and if the phone has pedometer / step counter sensor **Here's the solution how to continue if tracking happens to stop while working out: http://bit.ly/tracking-stop Take your training to the next level with the Sports Tracker Bluetooth Heart Rate Monitor – available separately at http://shop.sports-tracker.com/ Sports Tracker is the most powerful social sports tracking solution available for Android when used with the full-featured online service at www.sports-tracker.com. The free online service offers automatic workout backup, detailed maps and analysis views, friends' workouts and lots more. Ready to have fun getting fit so that you can be your personal best? Download Sports Tracker today and join the world’s first and the best social sports app community.  Website: Sports Tracker Running Cycling | Sports Tracking Technologies Ltd.
 Is Sports Tracker Running Cycling yours? Claim it!